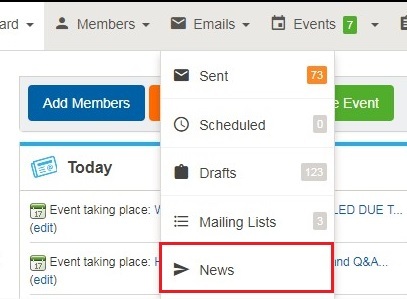 How to add news to your email? Click on Emails > News. 3. 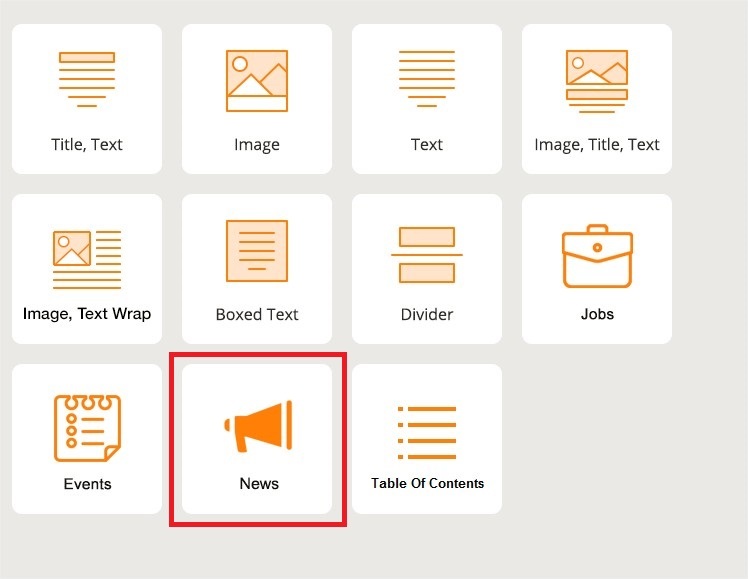 Create the news by clicking on the 'Create News' button. 4. Click on Emails > Compose Email > Try New Email Builder. 5. Drag-n Drop the 'News' widget inside your email. 6. Click on the 'Select News' button. 7. 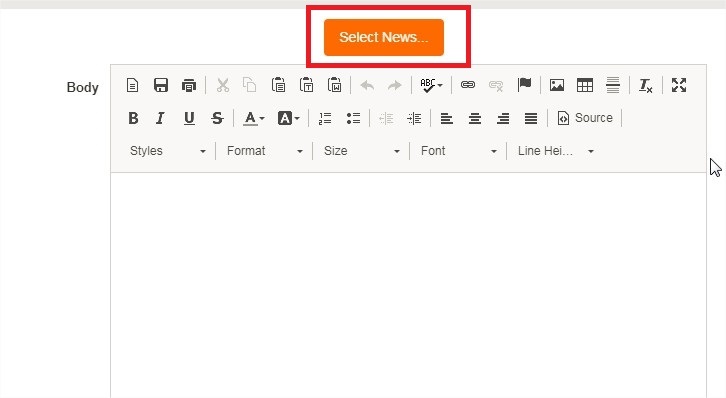 Select the news you wish to add to your email and click on 'Insert Selected News'. The selected news will then be automatically added to the 'Body'. Feel free to change the formatting or the content.